....the Sevens had copious amounts of beer, but no wine to be seen. I did see a cocktail counter, but didn't even see what they had as, hey it's rugby! Beer. Beer. Beer! There were two options present, although I did not see a single Guinness being drunken. Everyone, and I mean everyone, had a pitcher of Carlsberg. From what I gather Carlsberg and HSBC were the largest supporters of the Sevens. So let me share a little Sevens fail. As I mentioned earlier, I won my tickets from Time Out magazine. While picking up said tickets, I was invited to join their party in the Champagne tent on Friday night. $50 for an hour of unlimited cocktails. It's a no brainer right!? All you had to do was scan a QR code off facebook and present it upon entry to the Champagne tent, which is right outside the stadium. My guest and I arrive, present the code, head in only to find out that $50 (I know not a lot, but come on!) buys you one individual sized, prepackaged, cocktail garbage. Have you guess seen these things? VnC pre-made pomegranate whatever nasty cocktail in a bottle for your convenience. Ew. If you've tasted this you'll know what I mean. Tastes of cold medicine in the worst way possible. My guest and I promptly returned the drink, turned around and went into the game for some real drinks. 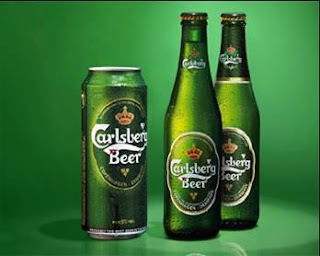 Carlsberg! To add insult to injury, I was up in Discovery Bay on Sunday and went into Fusion grocery store. Just take a wild guess at what they were sampling!? The VERYsame VnC pomegranete grossness!? I just had to laugh when they guy offered me a sample. Twice in one weekend is waaaaaay over my threshold, sir. What are your thoughts on pre-mixed cocktails? Delicious? or disasterous?